WELCOME TO THE PAGE ALL ABOUT HOW TO FOLLOW ALL WE DO & SUPPORT US FOR FREE (OR FINANCIALLY IF YOU WANT). Do you like all our content? Then PLEASE help us keep doing it! The best way to do that is to become a Patreon! Our patreons are what keep our site up and running. You simply pick a month amount you want to donate (even $1.00 help) and that’s it! 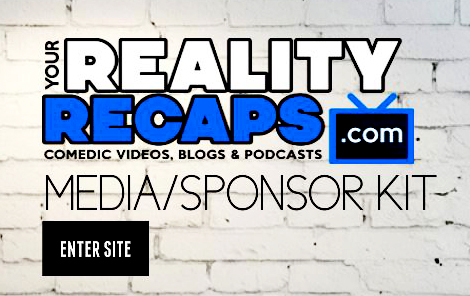 Plus Patreons get access to a SPECIAL PATREON ONLY FACEBOOK GROUP, WEEKLY PATREON ONLY SHOWS, WEEKLY PRIZE GIVEAWAYS & THEIR QUESTIONS ASKED TO REALITY STARS! If you’d rather just do a one time donation you can use PAYPAL instead. We appreciate ANY financial support you can give. Or if you are interest in any of the ads in the side bar to the right check those out too. You can also get a FREE audio book by clicking the banner below to help support us! You can also help support us for free by likening, sharing, subscribing and interacting with us on social media, just use the links in the sidebar as well or below to follow us on your favorite social media site! One of the best ways to help us is to subscribe to our shows in YouTube. And just so you know… your support and donations are to help us keep doing what we do for you all for free. The more you donate the more you are investing in us creating more content for you! For example we used your donations to bring you live feed updaters, live stream events, attend reality rally, produce the NYC Premier Party for Big Brother as well as update our equipment and cover EVERYTHING that happens for you all season! So from the bottoms of our hearts we thank you for your support! SIGN UP FOR OUR NEWSLETTER: You can also get special prizes and all the latest info by subscribing to our monthly newsletter (WE WONT SPAM YOU). Its easy and free! It’s in the side bar to your right. And it looks like the picture to your left. Just type your email in and hit sign up! EXCLUSIVE CONTENT FOR MOBILE DEVICES & TABLETS: You can also get our shows to go on iTunes, Sticher, RSS or any mobile device HERE. You can get just the audio/podcast versions or the full video versions of our shows there “to go”. Plus now I separated all the shows into individual feeds. Just subscribe to the one you want or the main feeds with all our shows! Oh and if you are listening in iTunes a 5 STAR rating and review would be nice too!